I love everything about this book. 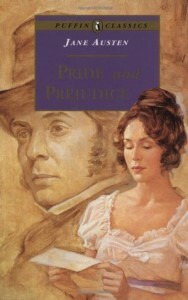 I love the characters, the story, the way Jane Austen puts words together, the humor, the settings. Just everything. I think what I love most, though, is the way both Lizzie and Darcy grow throughout the story. Even now that I'm older, the changes they go through make me feel hopeful.